The I Am Stronger grant program came into place earlier this year and we have already received just over 20 very inspiring and creative grant applications. They’ve come in from communities all over the province, including Cupar, Balcarres and Muscowpetung First Nation, to name a few. To read the ideas that the youth have come up with to combat the issue of bullying have been nothing short of amazing, and confirms just how eager everyone is to make a positive impact in their schools and communities. The students of Balcarres school are one of the grant recipients. 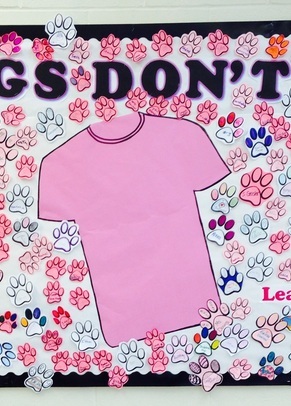 They came up with a new anti-bullying motto, “Bulldogs Don’t Bully”, and now they’re using the I Am Stronger grant money to promote and advertise their new motto and spread the word that bullying won’t be tolerated at their school. Another grant recipient is a student in Estevan, who has been involved with the swim club there for many years. He decided that he wanted to hold an anti-bullying swim camp for the youth. A free and fun event that brings everyone together that also tackles the issues that youth face today. Every idea we’ve received is unique and different and all have the ability to influence change in a positive way. So get inspired and keep those ideas coming. Never underestimate the difference that YOU can make in the lives of others.